Putting in the hard work - but not getting the results? No problem. Athletes don't get what they deserve - they get what they expect. Belief is crucial to success. Once you clear those away, the path to success becomes much clearer. Hard work does not guarantee success - you need a champion's mind to power the body. This is because the mind controls the body, not the other way around. It's all about how your inner computer is wired. * the creation of a set of powerful customized theta-level hypnosis recordings, designed personally for you, FREE of charge (valued at $149). This is mental training targeted purely for you, to help you reach your highest levels of performance. This training works for everyone, and there are very few sports I have not worked with, over the past 25 years - though the training works just as effectively, regardless. It is designed to transform results over the weeks, months and years ahead. It has truly amazing abilities to create peak performance, via the mental state known as The Zone. But we are not given a user’s manual to this powerful mechanism - which is much like driving a Ferrari around all day in first gear. It's time to start cruising down the freeway. As your mind controls most aspects of your life, your beliefs can either limit you, or power you forward. Just a Few of the Benefits.. The 4 or 6 session packages include the creation of a powerful hypnosis recording personalized to your exact needs, which will allow you to continue the benefits even long after our sessions are completed (nb. single-session bookings can be purchased with, or without, custom recordings). Transformation happens from the inside, out. Become crystal clear of your path ahead, and confidently handling the challenges. We often invest in cars, devices and technology, yet the most valuable resource you will ever have... is yourself. 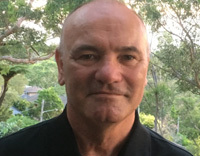 Craig Townsend has been renowned for his work in elite sports the past 25 years - founder of MindTraining.net in 1999, clinical hypnotherapist, mental trainer, author, speaker, and creator of groundbreaking hypnosis & brainwave entrainment products. He has worked with international level athletes for several decades through to top professional level, and his mental training programs utilized by Olympic and professional athletes, national / state coaches, associations and university teams. His book Mind Training for Swimmers was elected top 5 must-reads by World Swimming Magazine, worked as a mental trainer at the Athens Olympics, and his articles have been published by elite sports publications & establishments around the world - eg. the Global Professional Tennis Coaches Association (ATP / WTA players), 'Swimming In Australia' - the official Journal of the Australian Swimming Coaches and Teachers Association, (Italian) Nuotare Magazine etc. He blends sound problem-solving and logic with relevant mind techniques, to provide clarity and a clear pathway ahead - delivered with his customary positive outlook and gentle motivational humor. While you will feel increasingly motivated and positive about your path ahead, these consultations go way beyond short-term motivation - focusing upon strengthing self-reliance and achieving long-lasting results. Craig possesses vast experience in the numerous methods of tapping the mind's potential to overcome personal barriers, achieve goals, and bring about accelerated results. Sessions are generally relaxed and informal - with plenty of chat both ways, as Craig puts together the strongest options for navigating you successfully towards your goals. Generally a minimum of a one week break between sessions is advised, with increasing spacing between sessions as we go along, to give you time to put the session into real-life practice. This depends upon what you desire to achieve. The four or six session sports packages include a set of customized hypnosis recordings personalized to your exact needs, which will allow you to continue the benefits even long after our sessions are completed.